Dayton Gorsline of Okotoks, AB, has been selected as the new Jumping Youth Development Program Advisor for the Equestrian Canada (EC) Jumping Talent ID Program. The Talent ID Program was launched by the EC Jumping Committee in 2015 to increase participation and improve performance at the FEI Children’s, Junior, Young Rider, and Under 25 level. Beth Underhill of Schomberg, ON, was selected as the inaugural Advisor and held the position until November 2018. Gorsline was a natural choice for Underhill’s successor, having dedicated his career as both an organizer and coach to help up-and-coming riders find success in the show jumping ring. He has taught young riders in Calgary, AB, for many years; first as the resident trainer at Spruce Meadows before opening Trademark Stables with his wife, Canadian Olympian Lisa Carlsen. Gorsline was an active member of the former Jump Canada Athlete Development Committee and acted as Chef d’Équipe for the 2012 Canadian Young Rider European Tour, which provided several rising stars with invaluable international competition experience. Gorsline is also heavily involved with the North American Youth Championships (NAYC), and helped to build many winning Canadian teams as a member of the selection committee. His students have earned a collection of NAYC medals since 2016, including double gold in both the 2018 team and individual competitions. Additionally, as a former Canadian Equestrian Team member and current coach of several adult riders at the FEI level, Gorsline has the expertise and insight necessary to successfully prepare and transition young riders to the senior level. Talent identification, support, and mentorship will be some of Gorsline’s main responsibilities, as well as acting as Chair of the Jumping Youth Committee. 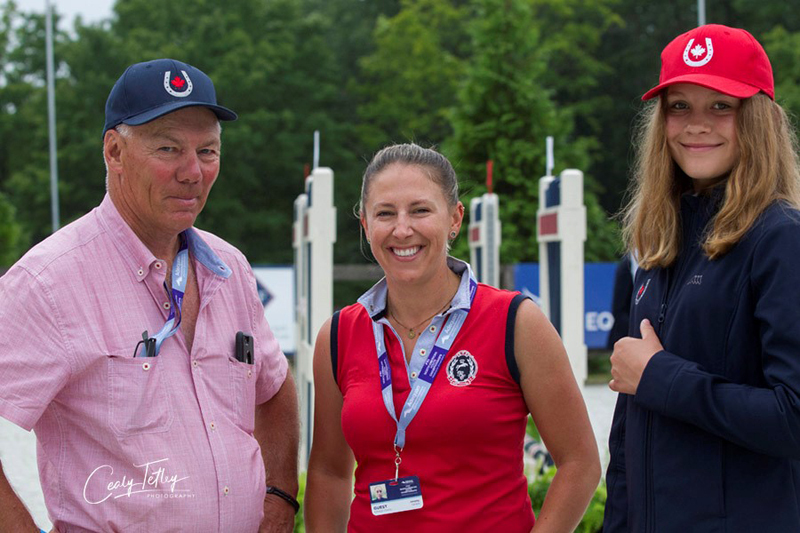 Alongside EC Manager of Sport – Jumping Department, Karen Hendry-Ouellette, and Jumping Program Coordinator, Stefanie Krysiak, Gorsline will work closely with young riders, trainers, parents, and owners in order to facilitate the development of competitive teams and individuals for FEI competition. Riders, parents, and coaches who are interested in getting involved in the Talent ID program can register for more information here.